This 5 bedroom 3.5 bath home has it all. The main floor offers an open concept with a custom kitchen that includes quartz counter tops and high end kitchen aid appliances. The main floor is perfect for entertaining with private views out the back. You will also find a main floor master suite that will help you relax after a long day. 2 additional bedrooms are on the main floor as well. The walkout lower level has a large family room with custom trim and design. 2 additional bedrooms and a full bath are located in the lower level. Out back is a private patio with a fire pit. 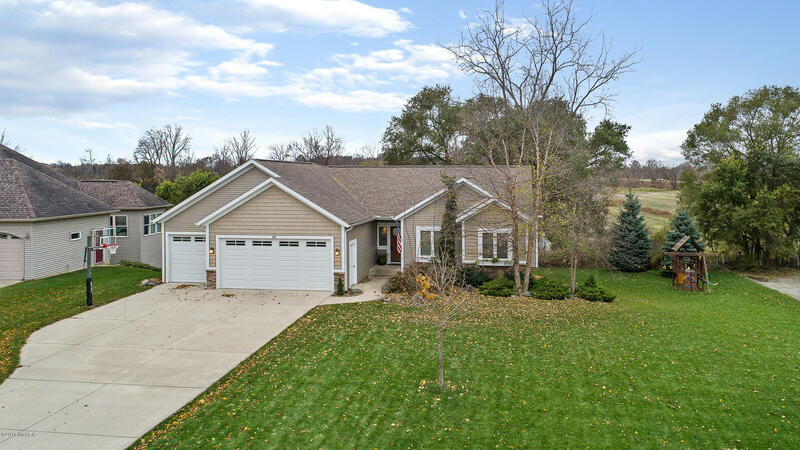 This home is close to schools and located in an established desirable neighborhood. Call today to schedule your private tour before it is to late.